The half-day event was attended primarily by key representatives from law firms and associations such as STEP Malaysia and the Penang Bar. It was also proudly supported by the Penang Bar Committee. Lara Mardell, Head of Private Client and Trusts – Asia at Ogier, flew in from Hong Kong to share her thoughts and experience in setting up wealth management structures, such as trusts, for her clients. 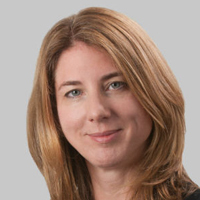 Lara Mardell is Head of Private Client and Trusts - Asia at Ogier Hong Kong. She provides advice to private clients, trustees, charities and other philanthropic organisations and their professional advisers on the structuring of offshore trusts, foundations and related entities, including BVI Vista trusts, Cayman STAR trusts, reserved powers trusts, private trust companies, offshore companies, Jersey foundations and Guernsey foundations and wills. Prior to joining Ogier in 2012, Lara practised for four years as a private client lawyer at Berwin Leighton Paisner and Withers in the City of London, where she advised UK domiciliaries and non-domiciliaries on personal tax, trusts, wills and succession matters, particularly where there was an international dimension. Lara moved to Hong Kong in 2008 and worked in-house at a local tax advisory and trust company. Lara is recommended in the 2014 edition of The Legal 500 Asia Pacific.